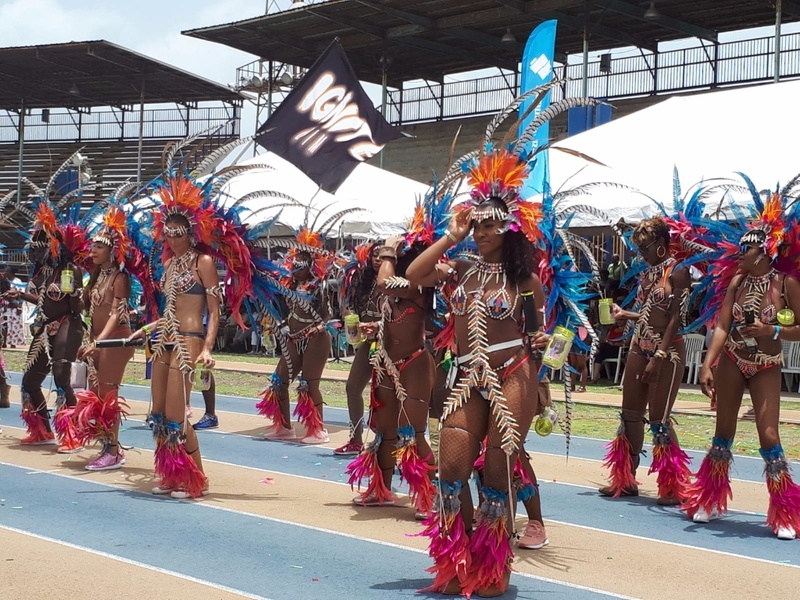 The 2018 Republic Bank Grand Kadooment will be remembered for its sweet soca tracks, costumes adorned with colourful feathers and the scorching sun. 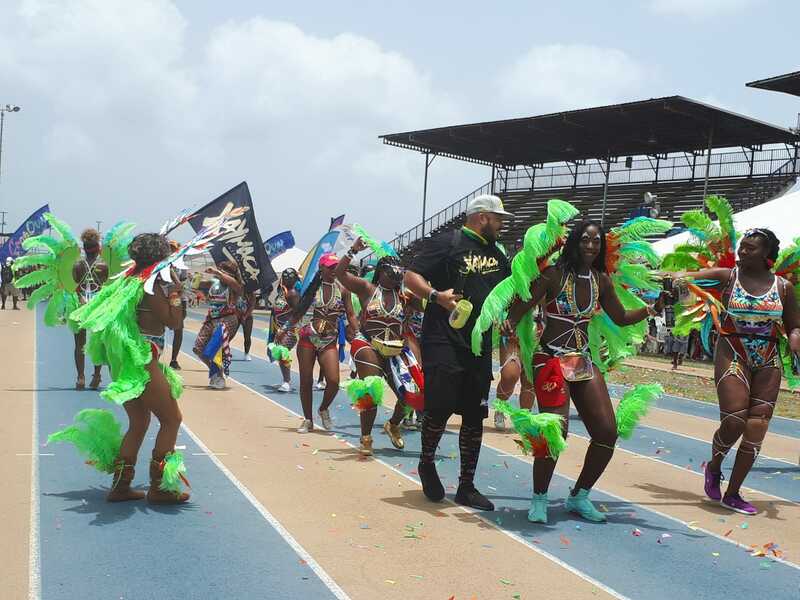 From as early as 8 am, revelers gathered at the National Stadium for the chance to parade before their costumes before the judges. It was a lengthy wait, considering that almost 20 bands had to cross the stage. It was clear, from the small number of revelers crossing the stage this year, that many chose to forgo the judging process, which only saw 19 out of the 24 bands go through the Stadium. 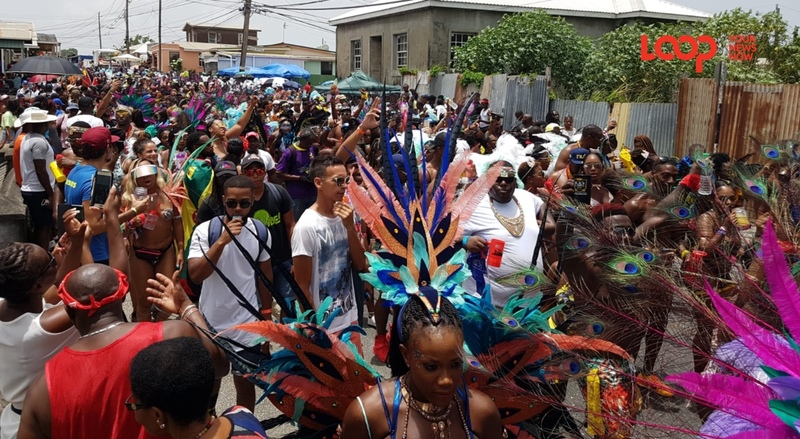 The sun came out in all its splendor and glory for Grand Kadooment and though grey clouds were persistent from early this morning, not a drop fell to ease revelers from the heat as they chipped down to Spring Garden. This year's jump-up was a chance for Caribbean families to meet up and those who were spotted with their children wore big smiles bursting with excitement. Mikey's Feteing Family was an appropriate song for the day's proceedings and mirrored the pulse of a happy people. This track put up a good fight for Road March but had to settle for second place behind Lil Rick's Mother Sally a tune that brought out all the bad behaviour in revelers. 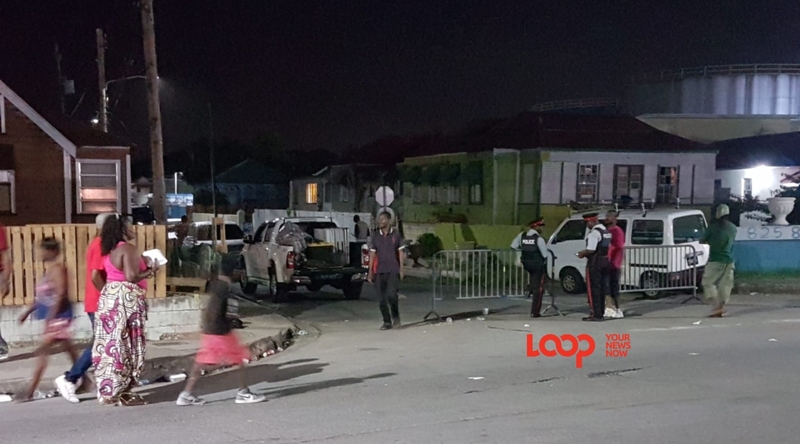 Vendors were out in their numbers to supply every need of the revelers and spectators alike, selling everything from seasonal fruits, food and toys to keep the young ones occupied. One vendor who complained of low sales asked for the chance to move his stall to a better location while others did their best to capitalize on sales. Loop noted a violence free jump.